Thank you for your on going prayers. We believe that they really do make a difference. 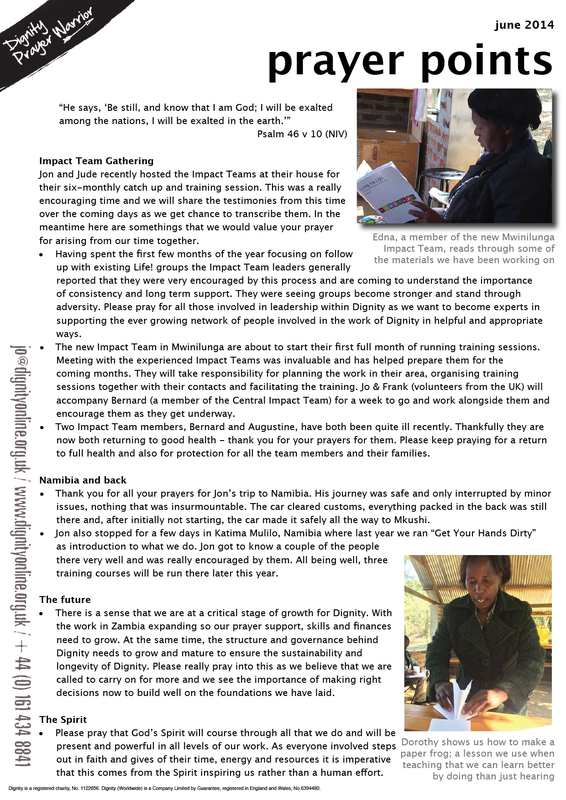 This month we would love you to pray particularly for the Impact Teams, those in Namibia and for future of Dignity. Please feel free to contact us for more information or if there is something you feel you would like share with us. Thank you so much!